When I designed our kitchen, it was vital that it function and endure for the long haul - which was just as important to me as aesthetics. Storage was a big part of addressing the functional aspect, and was a high priority in the renovation. Common with homes built in previous decades, we not only lacked cabinets, but the ones that did exist were squatty in height and shallow in depth not to mention falling apart. I have received several questions about our kitchen cabinets since the kitchen reveal. I thought I'd address the specifics here. First off, let me address the type of cabinetry we selected. 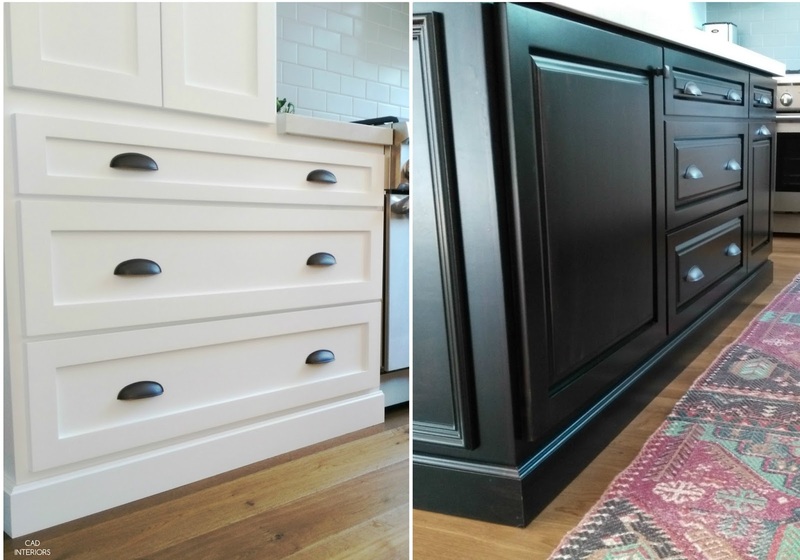 After evaluating various options, we determined that custom-fabricated wood cabinets were best FOR US and worth the long-term investment. Doing so gave us increased flexibility with the cabinet design and storage configuration, which in turn allowed for maximum function. 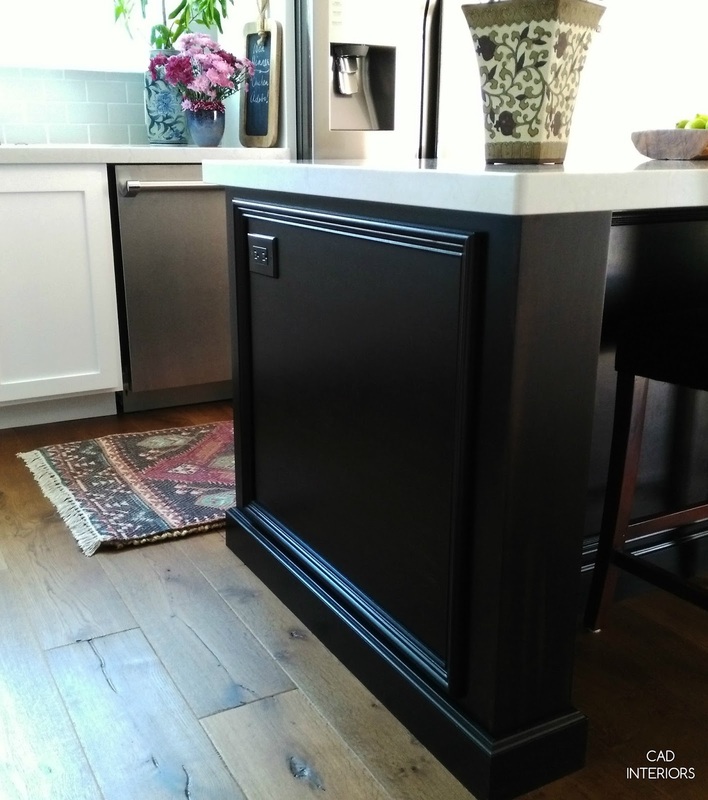 Our kitchen is a combination of save and splurge elements, and since storage and material durability were top priorities, we allocated a significant amount of the renovation budget to custom wood cabinets. All of the cabinet doors are solid maple wood. 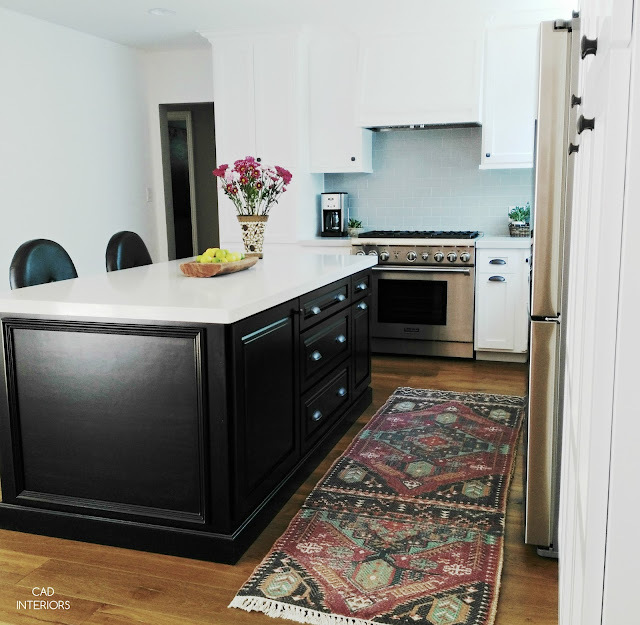 The white perimeter cabinets have a simple shaker profile, while a complimentary, more traditional raised profile is on the island cabinetry. I think the juxtaposition of traditional and modern is interesting, and provides a classic, timeless yet contemporary design. 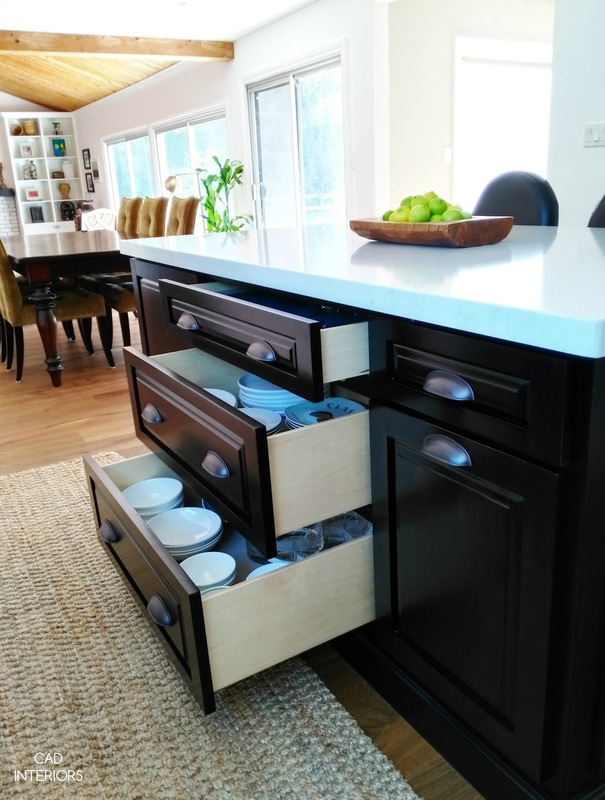 Another inquiry I often get relates to the island's design/storage. 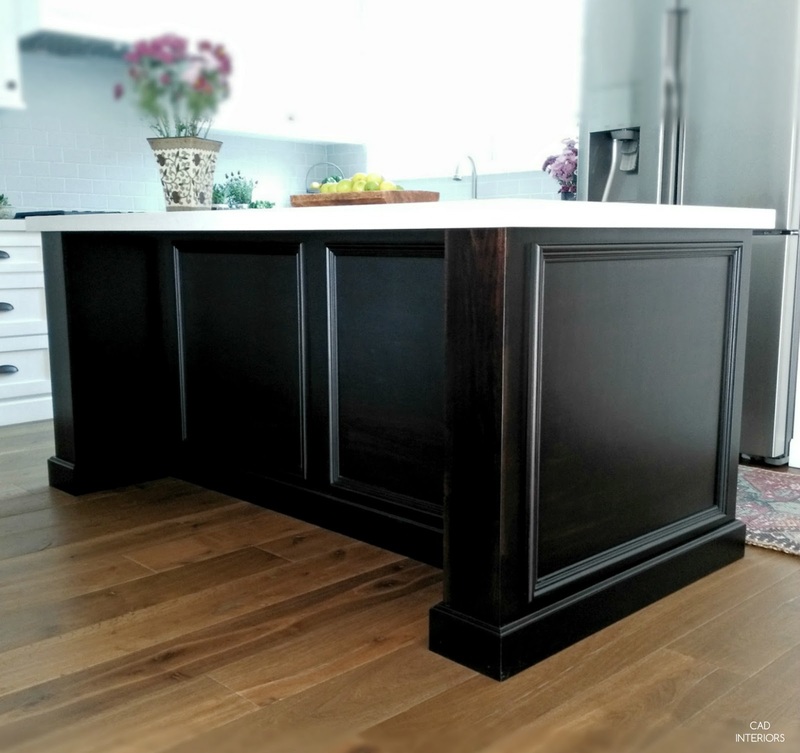 So, let's take a look at the kitchen island, the "command center" of our kitchen! To start, one of the ways that we gained storage - despite staying within the modest original kitchen footprint - was by installing an island. 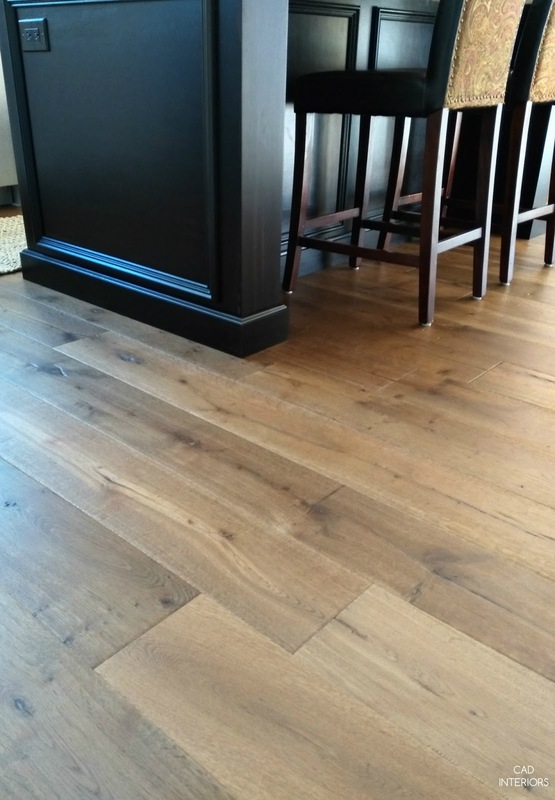 It measures 3-1/2 ft wide x 6-3/4 ft long. It was positioned just over 3-1/2 feet away from the perimeter cabinets to provide ample clearance for passing (or to open the oven, dishwasher, refrigerator). The old kitchen had a peninsula with upper cabinets, which was obstructive and closed the kitchen in. 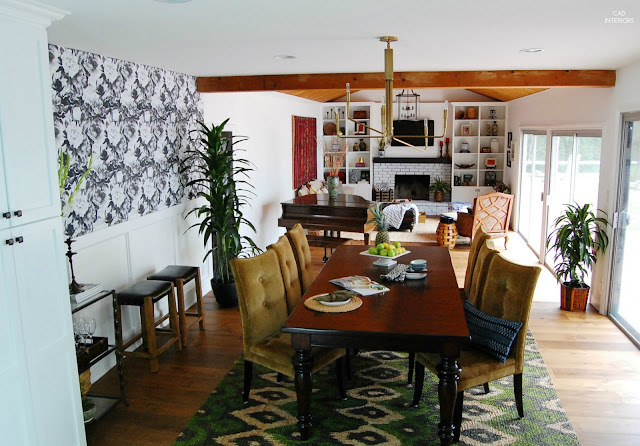 The island really opened up the traffic pattern within the kitchen, and the visual flow to the rest of the great room. The kitchen opens directly to the dining room and family room. 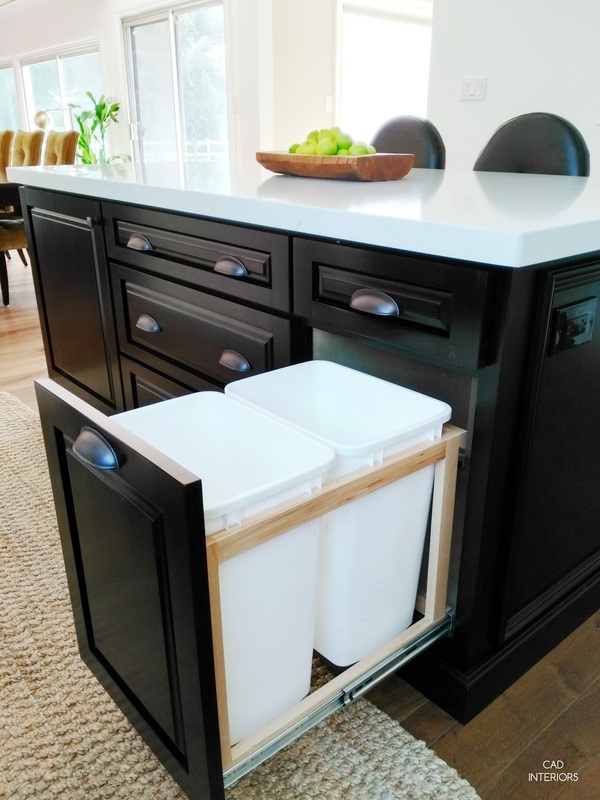 We originally envisioned the trash bins being placed under the kitchen sink or adjacent to it (but limited space prevented it). It ended up being for the best. We have found that having the trash bins in the island has actually been efficient in terms of cleaning up after prepping or eating meals. It is also out of the way if someone wants to throw away trash while we're using the sink. 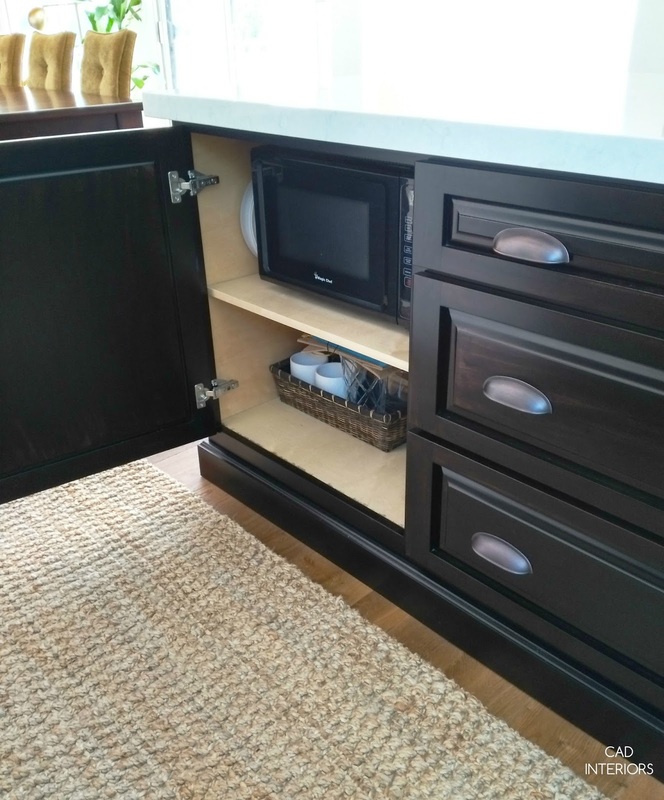 I also spec'd the island to accommodate a built-in beverage center. There is an electrical box inside the cabinet if/when we do install a refrigeration unit. For now, it houses the microwave and miscellaneous items. All we would have to do is remove the shelf and door. 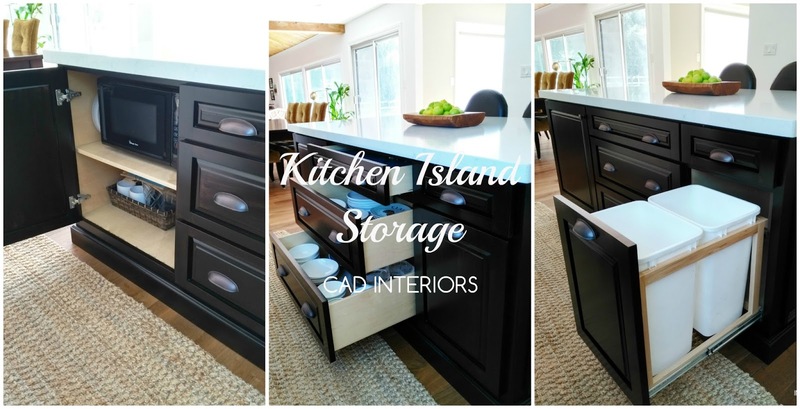 So there you have it... all about our kitchen island storage and cabinetry choice! Hope this provides some inspiration if you happen to be considering a kitchen update or renovation of your own. Keep in mind... We lived with our old kitchen for two years before embarking on the renovation. The time allowed us to evaluate how we truly used the space, what worked/what didn't, and what was important (priorities can differ between households) to make our kitchen work for us long-term. I highly recommend not rushing into a major kitchen renovation if you can help it. 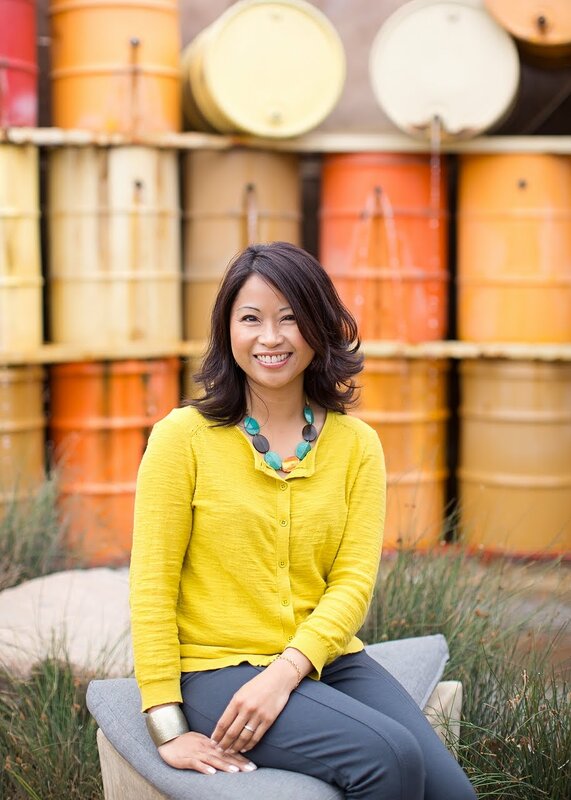 It is a huge investment, so you want to "get it right" as much as possible!